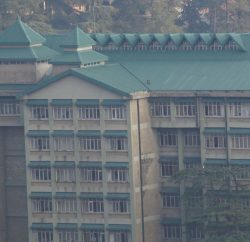 The Himachal Pradesh high court ordered the selection panel of Himachal Pradesh Public Service Commission (HPPSC), which rejected the candidature of a visually-challenged person for the post of a college lecturer in chemistry, to produce the entire record of the selection process. 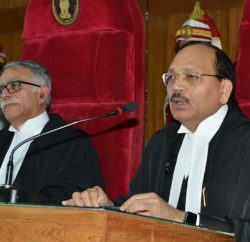 A division bench, consisting of Justice Kurian Joseph and Justice Sanjay Karol, directed the HPPSC chairman to furnish the qualifications, experience, service particulars, curriculum vitae of members and chairman of selection committee and the entire record pertaining to selection against the post advertised in 2008. The court also asked the chairman to present himself with the records on September 19 and file an affidavit as to whether the selection committee had determined any guidelines, parameters for assessing the merit of candidates and if so, what were they. It also wanted to know about the number of vacancies in various cadres that were to be filled from the physically-challenged candidates’ category and what steps had been taken by the commission. The stern directions from the court came in an appeal filed by Shyam Lal, a visually-challenged person who has been serving as a school cadre chemistry lecturer for the last 15 years. 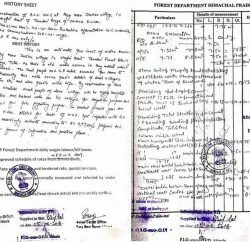 In response to the five posts of college lecturer cadre in chemistry advertised by HPPSC, three were reserved for visually-challenged persons. Shyam Lal had then filed a writ petition in the high court, which ordered the commission to finalize the selection according to the process already commenced and interview conducted. However, the commission declared the result of the appellant as unsuccessful for securing less marks than prescribed.